I wanted to share a few personal photos from my trip to Bali…a view from our hotel – The Viceroy -, some moss covered statues I stumbled upon, vibrant red peppers at the local market and the wooden Bridge from Hell (the only path to a remote and beautiful area of Bali). I had a great overall experience, largely in part to the hotel providing guides, allowing me to explore a new place and my curiosity. Beautiful colors, Bali is a place I have dreamed of going to, pleas share more photos! what a wonderful place to relax mentally and spiritually! I love bali so charming place !!! what a range of colorful photos!! These are wonderful pictures. Never underestimate the power of a personal guide, children! Thanks for sharing, Scott! It really is the little things. Your images make me happy. I look at your posts every morning and for a moment I am more at peace. Amazing photos, what a beautiful place! Indonesia has some amazing places to visit, in Bali are some unforgettable landscapes everything he wants a holiday there. Hello! I went to Bali this year as well and I must say that out of the 300 photos I took, none of them were nearly as beautiful as yours. You’re an amazing photographer! Wish to go there one day! Your Bali portraits are by far the most provocative and interesting of anything you’ve done. It is one thing to capture the beauty in well-coifed, people with access to all of the amenities of first world life. But these photos are at another level – showing that beauty is more the way you wear your clothes rather than the clothes you wear. Nicely done. Nusa Lembongan is so nice! Beautiful photos! Reminds me of Nat. Geo. Looks like an amazing place I should put on my list to visit. looks so very beautiful. can i just melt into these photos? Beautiful photos, it must have been a great holiday! Awesome pictures. I love the one with those mossy carved stones. Totally like Indianan Jones but cooler. Amazing everything… You have definitely come to Brazil! Did you jump from Blue Lagoon on the other side of the bridge?! Beautiful pictures. I love seeing the different perspectives between you and Garance. 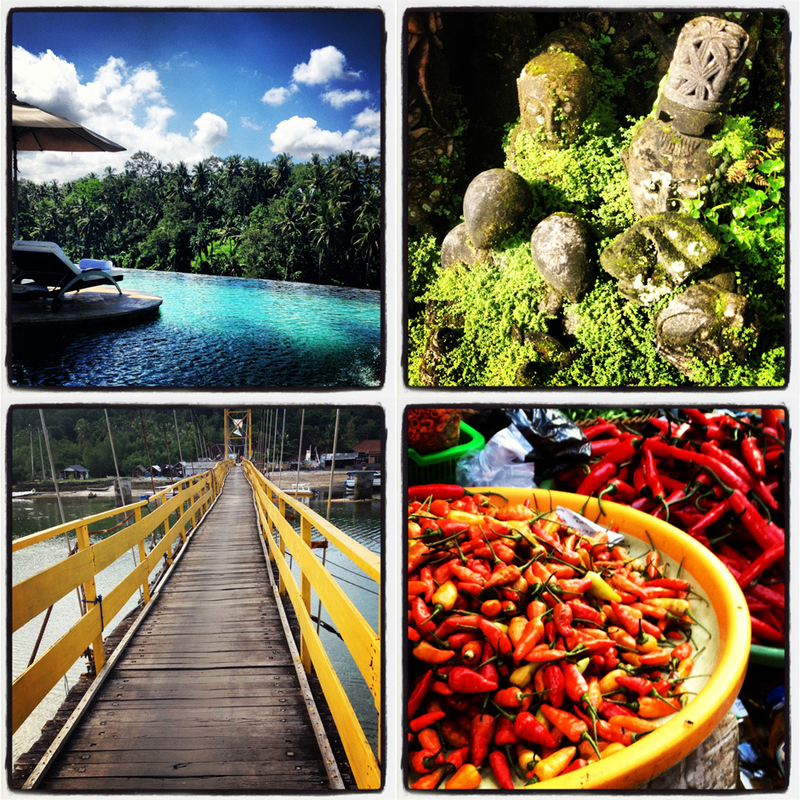 Bali looks fab… and you are lucky to be there…:P Amazing pictures!!! Scott, thank you fro sharing. I celebrated my 50th birthday and me beating cancer in Bali. It changed my life. The beauty of its people and the natural beauty as well. the gentleness the innocence the smiles. So beautiful. we want to go surfing there. did you happen to see any surf culture? Lovely photographs! I hope I can visite Bali asap. Because it is such a beautiful place. Beautiful pictures. Thank you for sharing. I visited Bali when I lived in Singapore! The people were so spiritual and treated every object in nature with respect. The outdoor spa treatments…heavenly! beautiful photos! Bali I have been there, one of the best destinations in the world!! I love!! We were in Bali at the same time. A friend is about stay at the Viceroy. Looks gorgeous. I was at http://www.Sukhavatibali.com also a luxury getaway. Could you add more photos? Yeah, Bali is a beautiful place! Merci d’avoir partagé l’information très définitive et les circonstances entourant la mort du Général Hieu. http://www.fofy2.com http://www.friv2021.com http://www.jogosfofy.com je remercie le député de nous avoir informé de ce qui s’est passé au comité et de son expérience de http://www.juegosfofy.com http://www.juegosfriv-2020.com http://www.juegostwizlfriv.com travail auprès des refuges pour femmes battues. http://www.twizl.com.br http://www.twizl.com.co http://www.twizlfriv.com ous vous remercions d’avoir partagé cette information avec nous. http://www.twizygames.com http://www.yoob.com.co La présidente: Merci beaucoup, monsieur Ménard et merci d’avoir partagé la présidence avec moi. Deserves just this article popular, his writing is also very good quality once, so reasonably well entered in the queue of the best articles, congratulations. And if what they say is true, if it’s true, I might give me to you. I’ll wake you up with some breakfast in bed, I’ll bring you coffee with a kiss on your head. I’m happy when you’re already happy. Your website is very interesting and nice, I was very impressed with you thanks for sharing with us. And if what they say is true, if it’s true, I might give me to you.I’m happy when you’re already happy. With the lights out, it’s less dangerous, here we are now, entertain us. I’m sorry if it’s all too much, every day you’re here, I’m healing. Bali is the best choice for refreshing !!!! Great post, every one should read this article. Good writing and very useful. Hope you had good time in Bali. Thanks for showing us your awesome pics. Thanks for giving these amazing tips. Your blog is amazing.